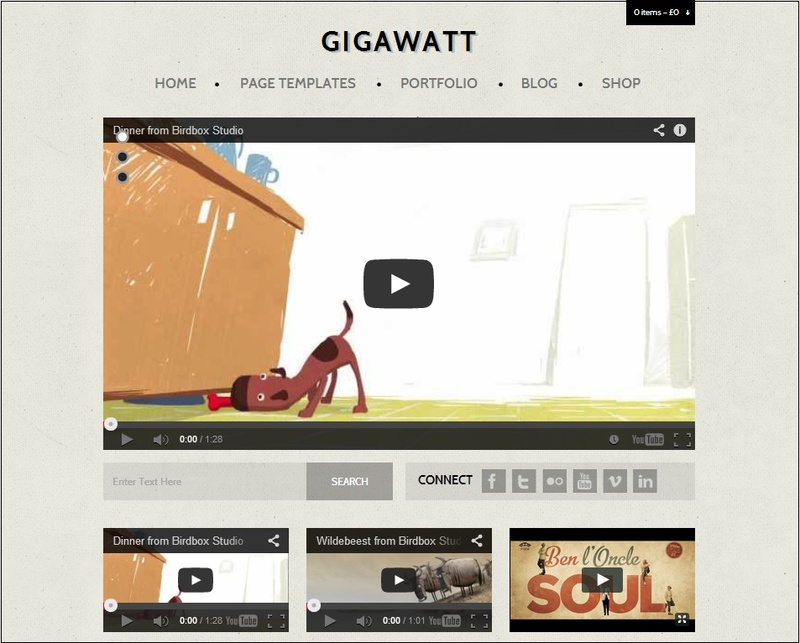 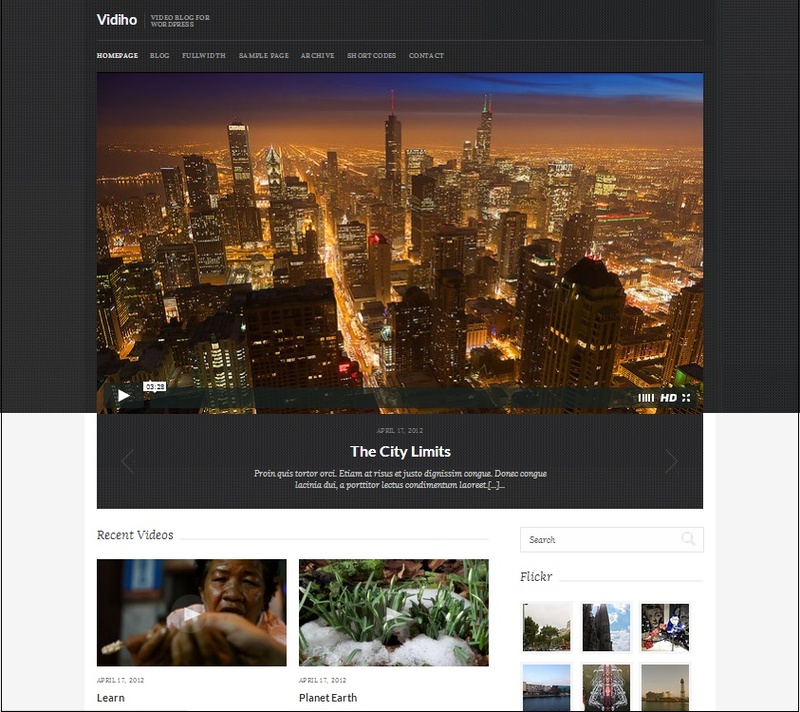 WordPress Video Themes – An invitation to be a video blogger. 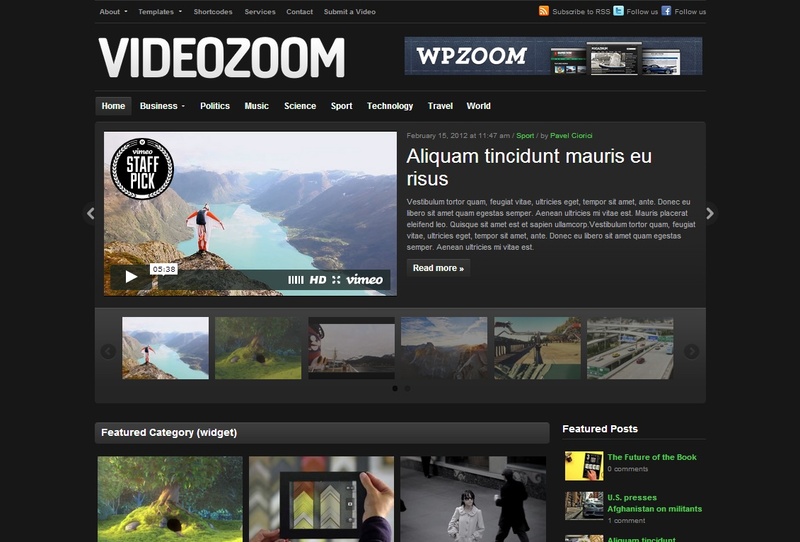 If you are a video blogger, then presenting your videos using responsive wordpress theme will make an elegant statement. 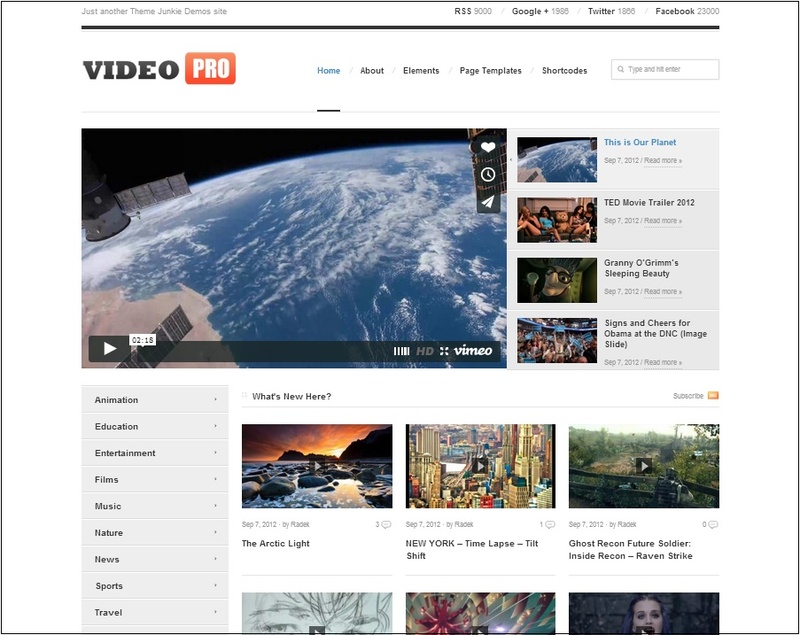 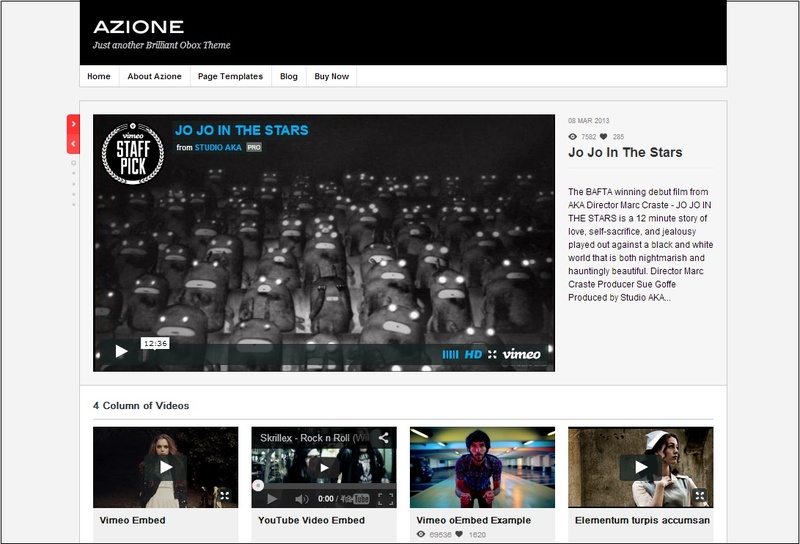 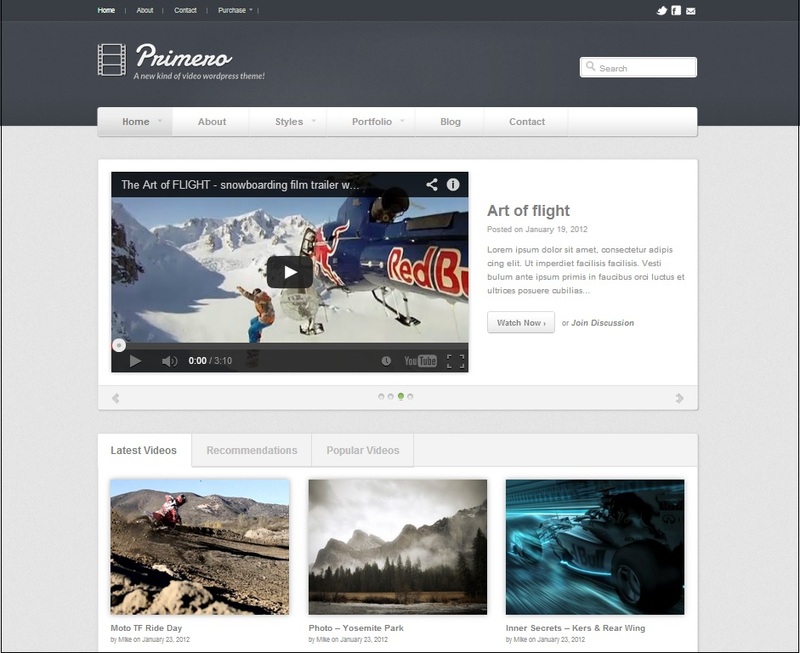 Besides putting your own video , you can embed videos from Youtube, vimeo etc. 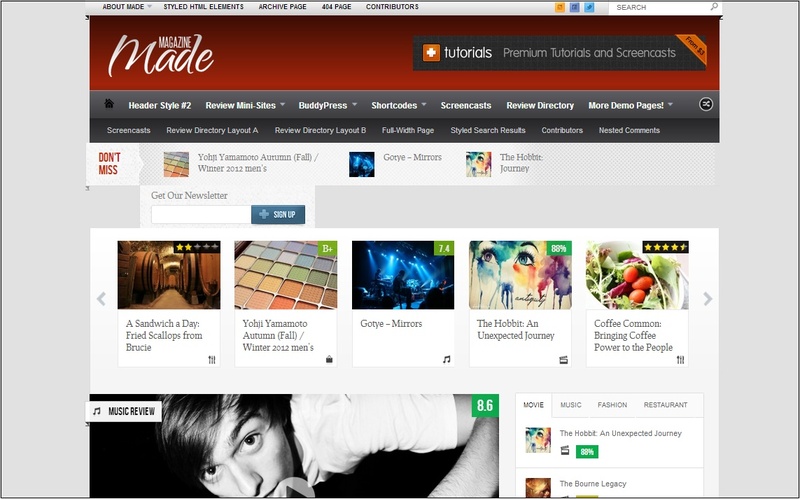 There are many options available in these premium themes. 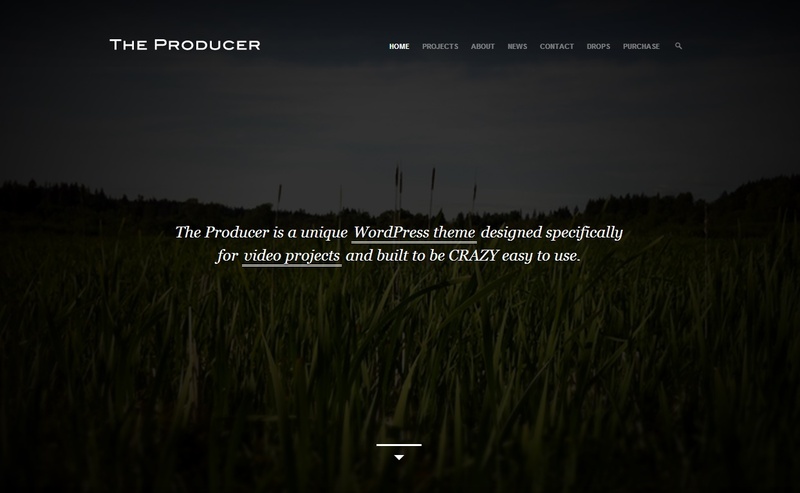 It is a worthy option to go for these WP themes. 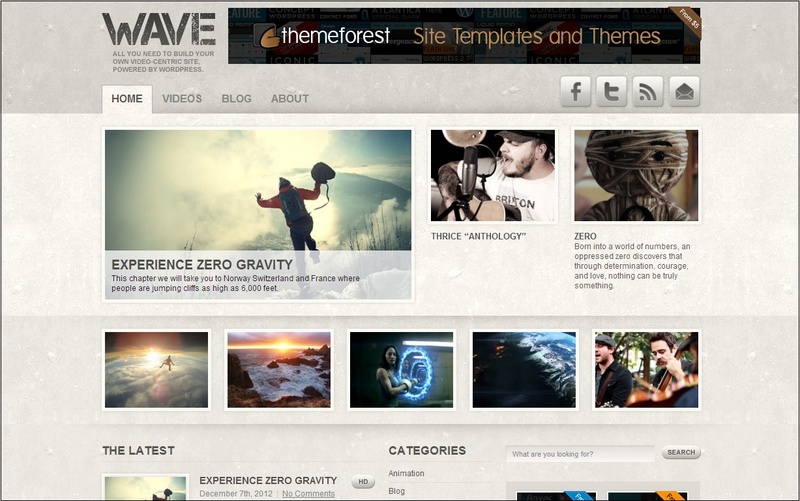 Below is a great list of these themes. 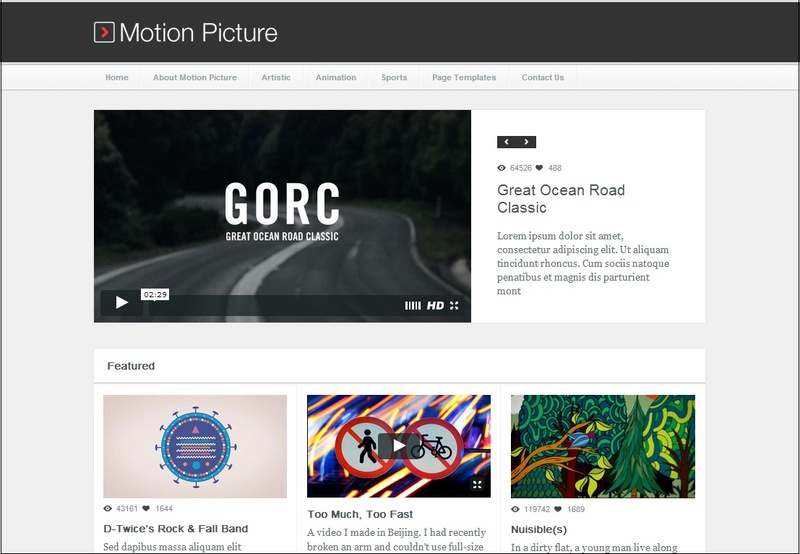 That wrong has to be righted, so today we are excited to release our latest Premium WordPress theme called Motion Picture. 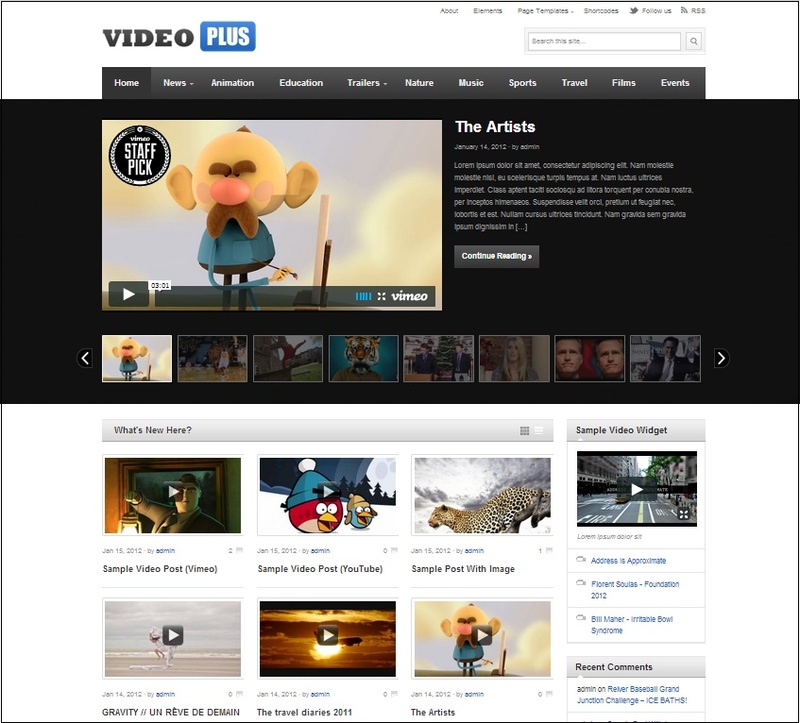 A video-centric theme for the video bloggers amongst us. 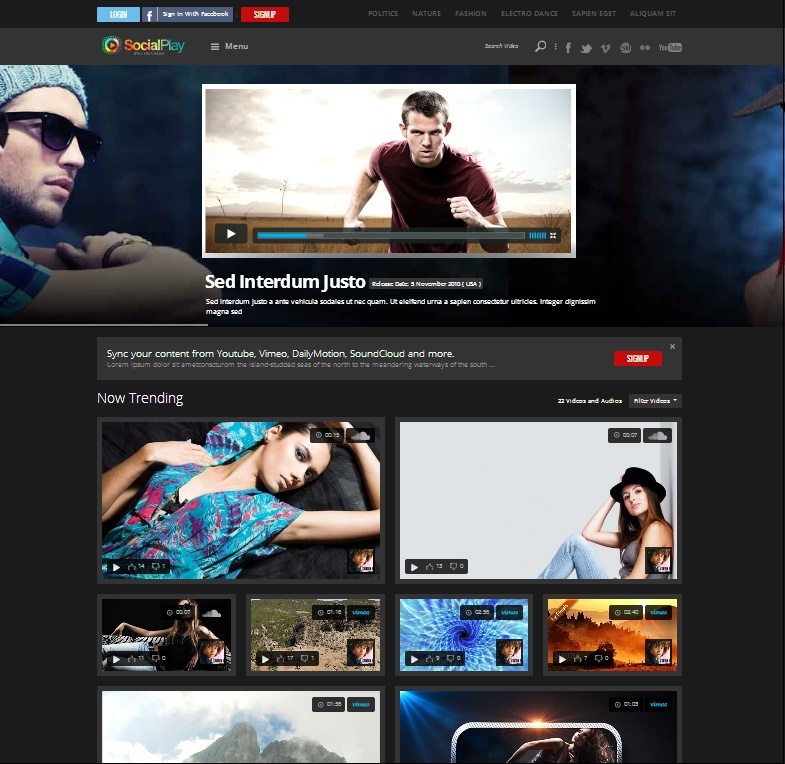 VIPRESS is responsive wordpress theme, let you choose between dark and light colors, with the ability of uploading fullscreen backgrounds, choosing the site elements color and font ( all google fonts available ), choosing if you want boxed or stretched layouts, transparent or no transparent backgrounds, 4 slider forms, unlimited pages templates, 12 awesome widgets, unlimited sidebars, modular homepage, and more, VIPRESS can be used for each user that want to make a magazine or video site with his own style. 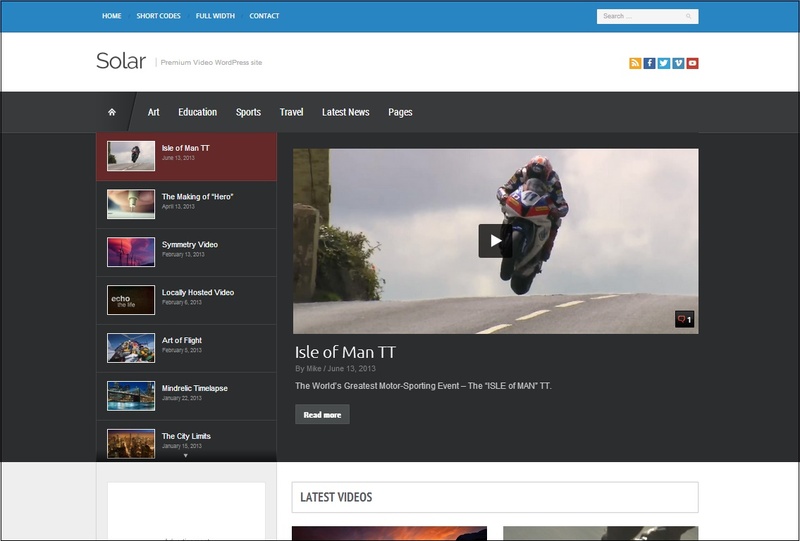 VideoCraft is not just your regular Video Theme, Using VideoCraft you can run a full-blown user generated Video Site. 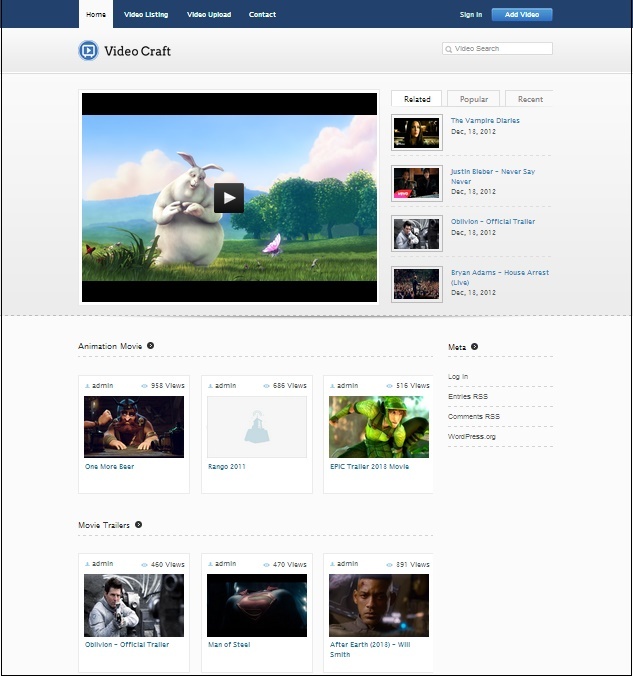 VideoCraft Theme comes with a complete User Registration Module and Video Upload Module which allows Users to upload their own video files and also allows to easily embed the Video through URL’s from sites like Youtube, Vimeo, MetaCafe or Dailymotion. 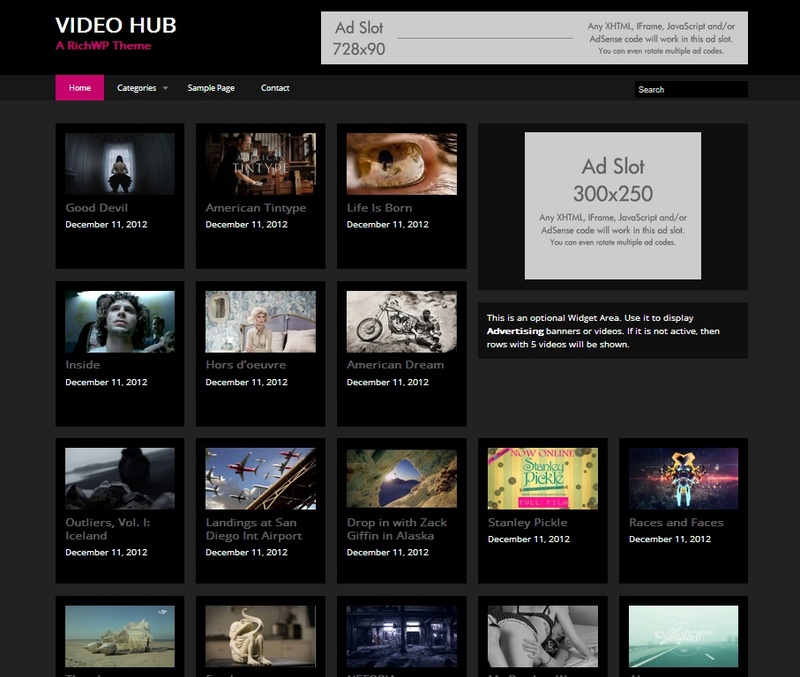 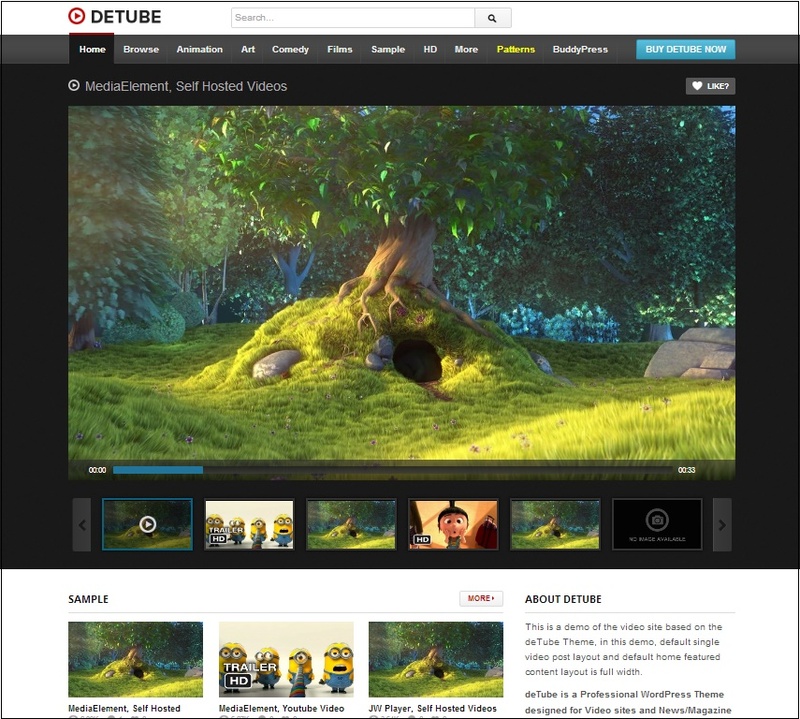 VideoCraft Theme makes it easy to create your own Video Submission Platform. 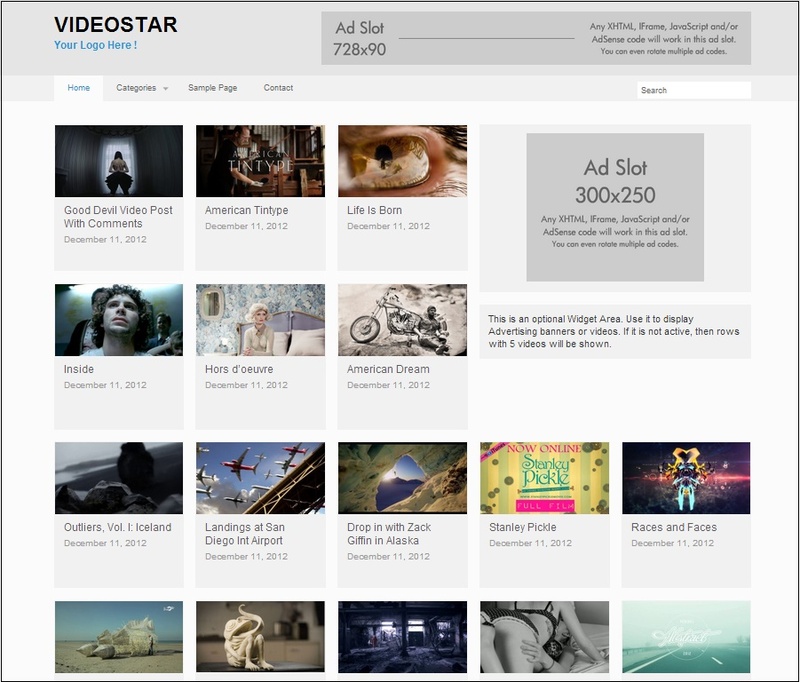 The coolest thing is you can run a Video site based on your interests and upload and embed videos in a quick and easy way. 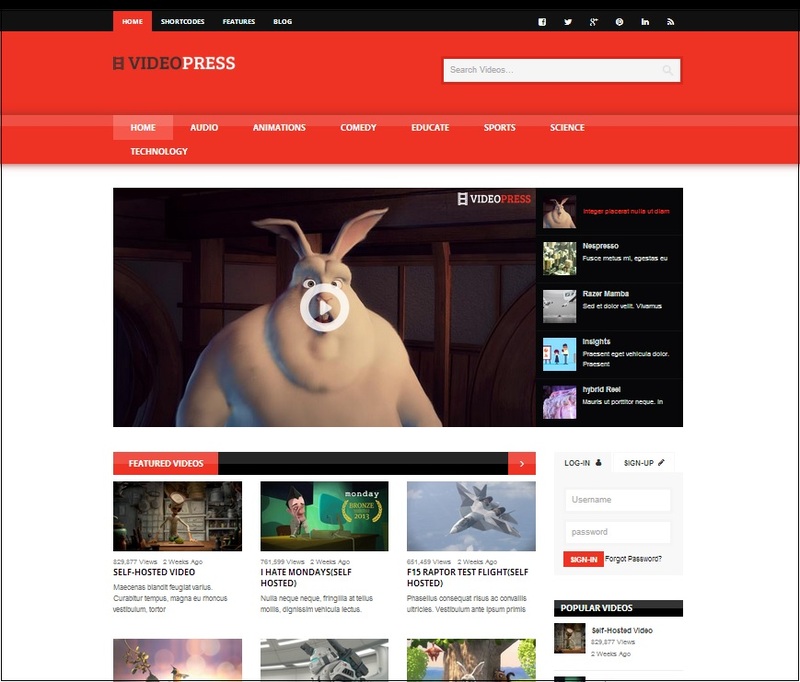 The fully responsive and adaptive RichWP VideoStar Theme is the perfect choice for your WordPress based video site. 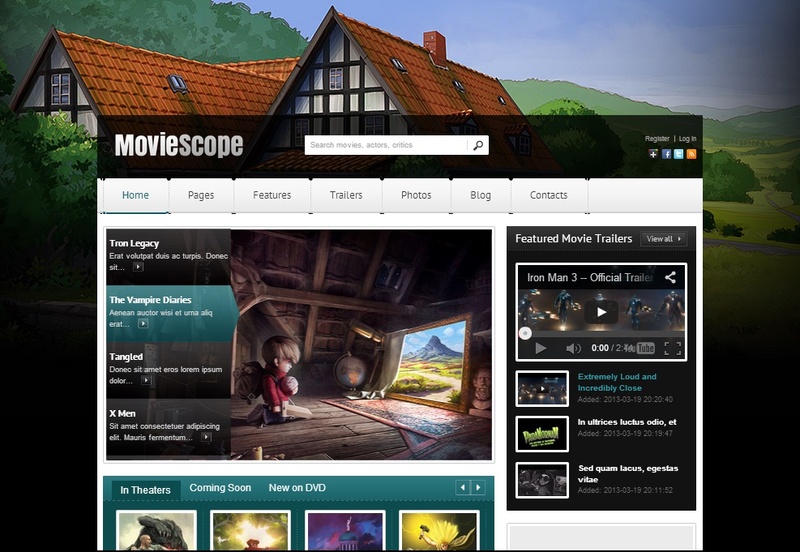 The theme offers an intelligent way to display a large number of posts that will immediately attract your visitors’ attention right on the front page. 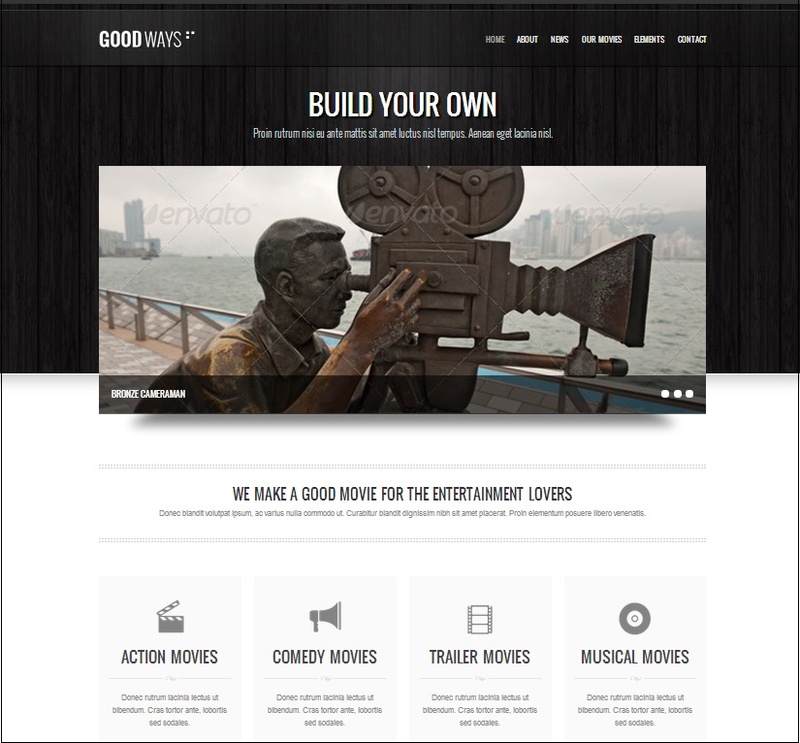 This responsive and adaptive RichWP WordPress Video Theme offers an intelligent way to display a large number of posts that will immediately attract your visitors’ attention right on the front page.